We lost our Bubby last week. In a hotel in her hometown Winnipeg, my mother-in-law sat on one of the white beds and expanded on stories I half-knew, or had never heard. I had inadvertently written a eulogy, bound with threads of family history, and in that strange room, which was overly warm to compensate for the brutal cold outside, the curtains pulled back a little farther. There was love, and there was adventure, but it was neither a love story nor a thriller. It was the story of a strong, brave woman who never shied from a new experience. Vera Louise Niblett, soon to be Parfinuk, later to be Simpson, was born in England Jan. 20, 1925. She was a teenager during the Second World War, when she and her family left the uncertainty and danger of London for Biggin Hill in Kent. It was there she met the young Canadian soldier she would marry in 1943, Colin Parfinuk. 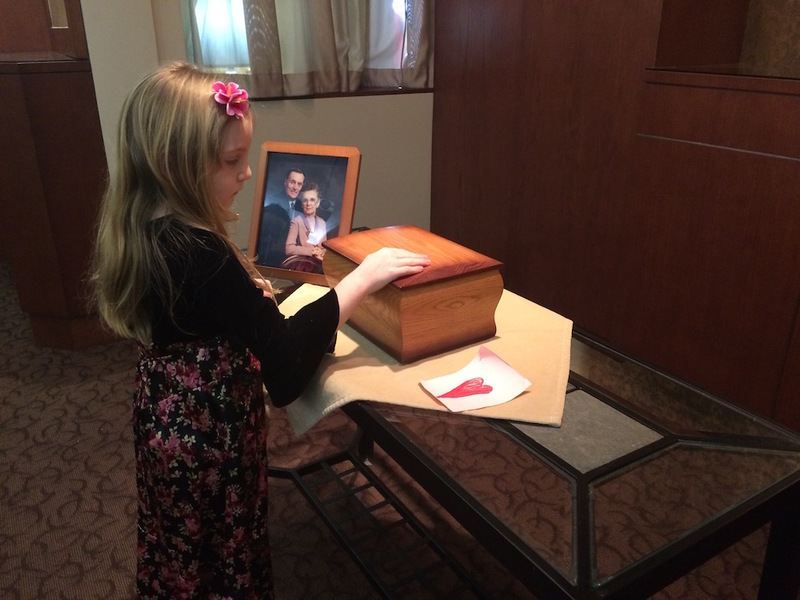 On the velvet bench in the funeral home, we gave 7-year-old Jillian a small pad of paper. She is the child Bubby called Rosebud, who is as headstrong as her great-grandmother and who had a special, complicated and loving relationship with her. We see Bubby in the slant of her lips and the roundness of her little nose. We have always used the same quote to describe them: And though she be but little, she is fierce. On the rectangle of paper, she drew a blue boat with three windows, then a tall mast with a triangular sail. Beneath it, dramatic, curving waves. She took her time colouring them in, then turned her attention to the sky, sketching out a child’s perfect clouds. The minister started speaking. Jillian drew a thunderbolt coming from two of the three clouds. She silently replaced the blue marker with a black one and filled in the rest of the sky. Their daughter Verna was born during one of the biggest air raids the country would see. Yet Vera’s adventure was still barely at the beginning, as the young mother and child would soon travel across the ocean to be reunited in Canada with Colin. There in the wilds of Manitoba, Vera learned how to cook at her mother-in-law’s elbow and followed her now-lumberjack husband into the bush — as far as Mile 56 to live in a draughty log cabin where mice scurried in to escape the minus-45-degree cold. Over time and through the heartbreak of several miscarriages, they lived in various places across the Prairie. Vera and Verna returned to England for a year, and on their return, they lived for a time in Truro, then West again, where Vera and her husband went their separate ways. She became head waitress at Town and Country Restaurant — her run-ins with well-known entertainers at the Bunny Lounge would provide stories for her to tell throughout her life. And love had not abandoned Vera. She married Eric Simpson in the mid-1960s and they explored life through their shared love of road trips, camping and fishing. Verna had grown and moved to Montreal when Eric Jr. came into their lives. The boy would often fly to out-of-the-way fishing camps with Eric Sr. in the service of their billiards business and as he grew older the two often worked together. Eric Sr. fell ill and died in 1996. After some time living in an apartment run by the Legion, Vera moved in with Eric Jr. and his bride, Chona. They lived together for 15 years, as she travelled between Winnipeg and Montreal to spend as much as time as she could with each of her children. She could tut-tut with the best of them, and purse her lips at unruly children, and roll her eyes behind her daughter’s back if only a granddaughter was watching. But she also laughed in a giggling way, and wasn’t about to shy from awkward topics. “It’s like skirt shopping,” she once said of the search for a donor for our second child. She was the matriarch of a family that never speaks of “steps” or “halfs” and barely of “in-laws.” Only son, daughter, grandchildren, family. The journey ended for beloved mother and adventurer Vera Louise Niblett Parfinuk Simpson Feb. 7, 2019. Her stories live with us. This was lovely. I’m very sorry for your family’s loss.